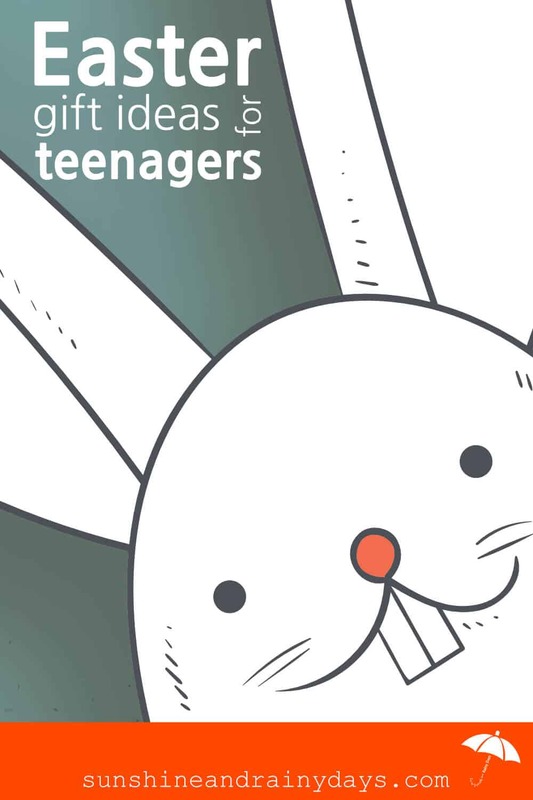 With Easter right around the corner, you may be looking for Easter Gift Ideas For Teenagers. When the kids were young, it was easy to grab a Littlest Pet Shop and a Thomas train. Easter For Teenagers can still be fun but the challenge is real. Check out these Easter gift ideas for the teenagers in your life! We’ve always given the kids a gift we know they will use in lieu of the commercialized Easter Basket full of throw away toys and yet another stuffed animal. I like to think of things we would be buying for them this time of year anyway. This post contains affiliate links. Read our disclosure for more information! What a perfect gift for Easter! My son’s hardcover Bible has seen better days. Perhaps it’s time for a lovely Teen Study Bible! Is there an amusement park or water park nearby? This could be an excellent choice for summer time fun! It’s the gift that keeps on giving. Because what teenager doesn’t like music? Of course, an iTunes gift card can also be used for movies, books, and apps. There’s something for everyone! A book would be an excellent idea for a long lazy afternoon! My daughter has shared some book ideas on Gift Ideas For 14 Year Old Girls. Do you have a vacation planned for summer? How about their very own rolling suitcase as a ‘basket’ filled with things they might need for the trip. Sunscreen, bathing suit, flip flops, summer clothes, a magazine and, of course, snacks would all be excellent choices! Another super cool, yet useful Easter basket idea can be found here. I LOVE the idea, just not sure my two teenagers would actually USE it. You know, the same teenagers that won’t even wear a coat when it’s 32 degrees. How about a new pair of shoes? I have to say, I love Converse and bought myself a pair of these Converse slip ons in navy blue. Guess what? My daughter wears the same size and she has claimed them as her own. It’s been tough keeping my son in shoes and jeans that actually fit this year. The boy is growing like a weed! I just might use Easter as an excuse to buy him a second pair of shoes. Your teenagers will look stylish wearing these aviator sunglasses! We were headed to the pool with friends not long ago and my son couldn’t find his swim trunks anywhere. He wore his PE shorts instead but, when we got to the pool, we discovered his friend was wearing his swim trunks. Ha! Jack had apparently left them at his friends house. We didn’t want to embarrass his friend so we didn’t say a word. My fourteen year old son insists on wearing a swim shirt. Why not make it a sun safe one? I love Coolibar, a company&nbsp;that sells safe sun clothing! Goggles always seem to disappear! Your teenagers will be thankful they have them when it’s time to jump in the pool! A new summer outfit would be a very practical yet festive gift to give. Because I’ve had melanoma, sunblock or sun protective clothing is a must not only for me, but for the teenagers too! A sun hat or baseball cap not only gives sun protection but helps your eyes out too! Soon, very soon, the weather will turn warm and our fleece pajamas will no longer do. How about Spring pajamas? Don’t forget to throw a few of your teen’s favorite treats out on Easter morning! Let’s face it, even though our teenagers KNOW who the Easter bunny is, they still enjoy waking up to a treat and a few eggs Easter morning! These Easter Gift Ideas For Teenagers will set your teenagers up for a Spring full of fun! How EGG-citing, Kay! Your mom knew how to treat you right! I LOVE that you and Junior can Skype his Easter box opening! Star Wars is the thing around here! Can’t say I’ve actually sat down and watched a movie but it is often on in the background! What a great idea, Carrie! I love that!